CEREC restorations are the ultimate in modern dentistry. This advanced technology gives us the means to repair a damaged or decayed tooth in just one appointment. In most cases, two hours is all it takes. As well as delivering durable, natural looking crowns in a fraction of the time, CEREC restoration is less invasive than traditional dental treatment. 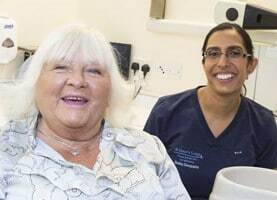 There is no longer any need to take impressions of the teeth, fit temporaries, wait for the new crown to be created or make a follow up appointment for fitting. CEREC uses digital imaging to scan the damaged tooth and design the replacement. CEREC is a computer-based system that uses a 3D camera to capture the precise contours of the damaged tooth and surrounding area. These images are uploaded to a design unit which creates a 3D model of the restoration. A compact milling machine then cuts the material to the required shape while you wait. It is then coloured and polished to match the surrounding teeth. 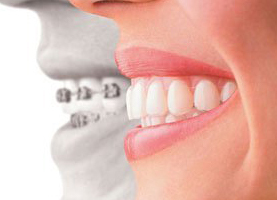 Once your dentist is happy with the replacement, it is bonded to the existing tooth. All in a single visit! The digital technology in CEREC is a quick, clean and precise solution to dental damage. CEREC provides more precise imagery than a traditional impression or mould of the teeth can achieve and this offers a greater degree of accuracy when the restoration is created and fitted. Produced from porcelain or tooth coloured composite, the materials we use are designed to emulate natural enamel in terms of wear, appearance and flexibility which means the CEREC restoration will give you the most natural look and feel. Once in place all you will see is a natural looking tooth. 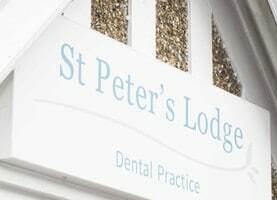 CEREC repairs look better and are easier to fit than traditional dental repair treatment Starting out as a method to replace crowns, here at St Peter’s Lodge we also use CEREC to create inlays and onlays. Inlays and onlays are an ideal solution for areas of damage that don’t require a full crown, but can’t be fixed by a simple filling.